Park City, Utah is rolling out two exciting new programs this year with its Sister City, Courchevel, France. Both ski resort communities, the cities are independently known for their massive resort sizes and terrain; superior guest experiences; and small town, historic atmosphere. Park City and Courchevel have been sister cities since 1984 and focus heavily on educational exchanges, with French and American high-school students participating in an annual homestay exchange. Over the past four years, the relationships between Courchevel and Park City municipal officials have grown stronger. Park City officials and resort representatives travelled to Courchevel in 2014, and Courchevel officials and resort representatives travelled to Park City in 2016. A private trip consisting of 38 Park City residents travelled to Courchevel earlier this year and were received by municipal officials, resort staff, and community members. Two programs are being piloted this summer. 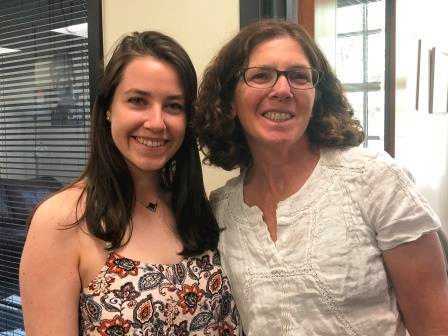 Park City Municipal Corporation will host a summer student intern from Courchevel in their Economic Development Department, and the city will launch a reciprocal municipal employee exchange program. Courchevel native, Bérénice Berrard, will serve as the Park City Municipal Economic Development Intern. Bérénice is a second year student at Iae Lyon 3 School of Management in Lyon, France where she is studying management and hopes to one day pursue a career in sports management and marketing. In 2015, Bérénice traveled to Park City as part of the Sister Cities International high school homestay program and knew then that she wanted to return to improve her English and build her work experience through an internship. She is looking forward to working in the Economic Development and Special Events departments, as well as with the Chamber of Commerce on marketing and special projects. 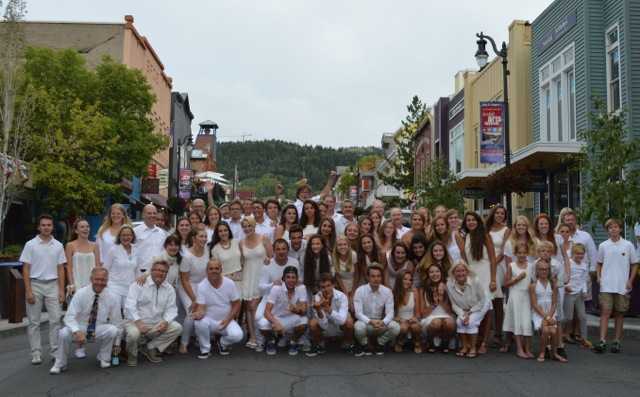 2015 student exchange on Main Street in Park City. Photo credit Kristen Haaijer. “We are lucky ducks to have the Sister City partnership,” she says, “It allowed me to find this internship, and I’m so happy to be in Park City this summer.” When not working, Bérénice is excited to hike and take advantage of uniquely American summer pastimes such as rodeo, demolition derby, and baseball games. A second pilot program is a municipal employee exchange that will further strengthen the relationship between local officials and residents of both communities, as well as provide professional development opportunities for staff to live and work in a comparable resort town. The original idea for an exchange came from Courchevel’s Mayor, Philippe Mugnier, who expressed interest in learning more about Park City’s land use; trails and transportation; housing; and overall tourism economy and special events via an employee immersion program. Similarly, Park City staff feels they have much to learn from the town of Courchevel. The exchange will take place in June and July 2018 when a Park City employee will live and work in Courchevel, and October and November 2018 when a Courchevel employee will travel to Park City. During their exchange, both employees will continue to telecommute and work for their own jurisdiction while also providing support for the other municipality. Park City Deputy Attorney Polly Samuels McLean was selected to travel to Courchevel in June and July. She is excited to learn more about Courchevel’s processes and relationship with the resort and its larger connected ski area, Les Trois Vallées. Park City is anticipating welcoming Courchevel’s Director of Planning and Development in October. Park City is looking forward to expanding these programs and continuing to build their relationship with their sister city, Courchevel. No Replies to "Park City Strengthens its Sister-City Partnership Through Innovative Exchange Programs"